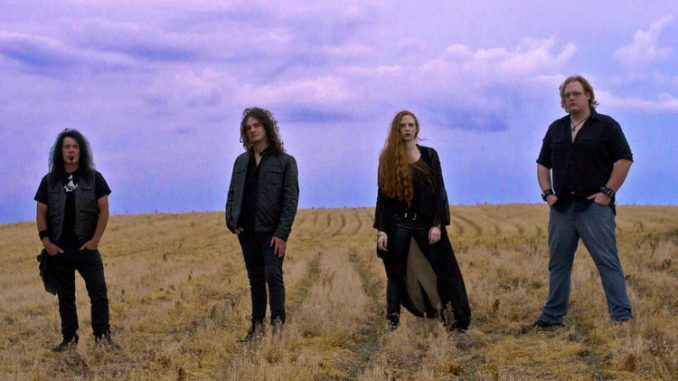 In a time when female-fronted metal is at an all-time high in popularity but also at an all-time high for copycats and imitators, MindMaze has striven hard to forge their own sound and identity. Hailing from Allentown, Pennsylvania (United States) the band are young but have already released two successful full-length albums since formation at the beginning of 2012. In September 2015 the band toured with Saxon and Armored Saint and has traveled thousands of miles and performed all over the United States over the course of the past several years. The band’s debut album Mask of Lies has been hailed by fans and critics all over the world as an outstanding piece of independent metal that is refreshing while being firmly rooted in many classic metal mainstays. With no label support, management, or outside hired promotion, the band managed to sell copies of Mask of Lies to fans all over the USA and many countries worldwide, selling 100% of the album’s first pressing in the first 12 months of its release. On the heels of Mask of Lies’ success, the band released their sophomore effort Back from the Edge (2014), on October 24th, 2014 in Europe and October 28th, 2014 in USA/Canada via Inner Wound Recordings, featuring artwork by MONOWASP (Seventh Wonder, Harem Scarem, Brazen Abbot, Crash Diet, many more), Symphony X bassist Mike LePond on all tracks, and guest appearances by members of Stratovarius, Pharaoh, LORD, and Draekon. 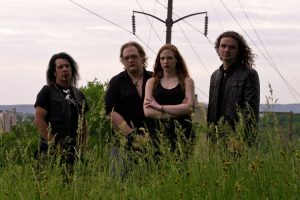 2015 saw the band release a fan-funded EP in support of their single “Dreamwalker” which featured a selection of cover songs, acoustic versions, alternate versions, and a new original track entitled “Slave to the Cycle”. The EP sold out within a year of being pressed. The band’s third album Resolve was released worldwide by Inner Wound Recordings on April 28th, 2017. Lead single “Sign of Life” spawned the band’s first music video which has currently received 100,000+ hits on YouTube. 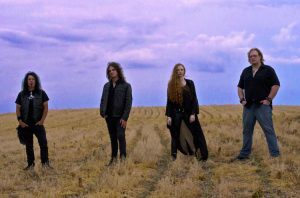 The band hit the road in May-June 2017 for a full-length US/Canada tour with Sirenia and Arkona which broke the band even bigger to new audiences in new places. The band also employed the services of Pyramaze keyboard player Jonah Weingarten to provide live keyboards on that tour. The band is already hard at work on writing new material for their next project.